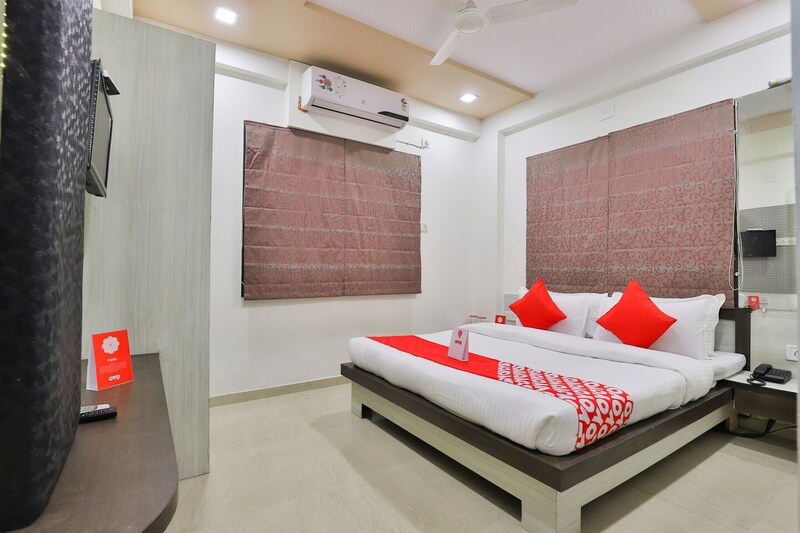 The rooms offered by Hotel Marvel Inn have been designed and decorated very thoughtfully. The hotel is located near the Airport Circle in Sadarnagar. The rooms are well-furnished and have been provided with really large windows. The rooms are well-lit and have been provided with tiled flooring. The rooms have been painted in neutral hues and the curtains too are monochromatic in nature. The additional facilities provided by the hotel are free Wi-Fi, parking provisions, and CCTV cameras. The front desk service is manned by experienced staff personnel who try to solve all the problems faced by the guests. The front desk service is surrounded by a well-furnished reception. The reception is a sight to behold and is provided with a plush sofa set. The hotel is surrounded by a number of eateries such as Jacaranda - The Ummed, Shambhu's Coffee Bar, and Tandoor Palace Restaurant.